Same material as ligature tie, made of non-latex material molding,perfect flexibility like ligature tie.colorful. 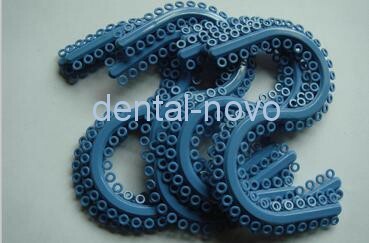 The most popular color is blue, and we have enough stock of this color. If quantity is over 50 packs,1000pcs, we can manufacture other colors as your demand. 25 colors in color code can be selected.